MelanieHaislip, born 1964 in Atlanta, GA, currently lives in Virginia Beach, VA. She’s a former student of Emory University, butbelieves that her talent originates from within her very artisticfamily. Her realistic, expressive and abstract works depict the depth,colors and movement of life. In1992, she created “The Artist Attic”, which primarily consisted of handpainted portraits on Christmas Ornaments from photos. 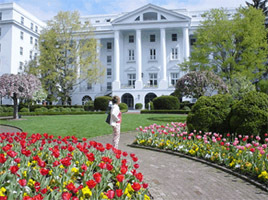 One of her firstclients was the historic, 5-diamond luxury resort, The Greenbrier. Uponseeing Haislip’s work, the resort contracts her to paint variouslocations, including the entrances, the “Spring House” and theconverted train depot, which now operates as their Christmas shop. 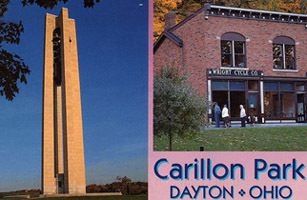 Her ornaments are also enjoyed annually by hundreds of patronsexperiencing the regional history of Dayton, Ohio’s historic CarillonPark. Currently, she paints thousands of portraits on ornaments for clients all across the US and Canada. Her website, www.ArtistAttic.com ranks #1 on Google for portraits painted from photos on ornaments. In 2007, Haislip was contracted by SoHo Myriad, an art consulting firm in Atlanta, GA, to paint abstract and realistic paintings on canvas. 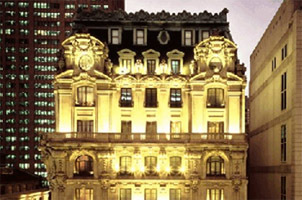 Her art is currently on display at several hotels, including the elegant and gracious, NY St. Regis, which is located in the heart of midtown Manhattan, NY. The contemporary property of the legendary Dallas Anatole Hilton is known for it’s extensive art collection and currently, features Haislip’s watercolor paintings of London landmarks in the Margaret Thatcher suite. 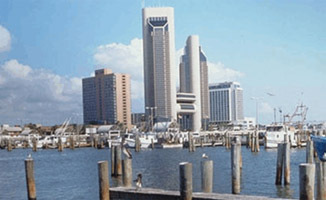 Ms. Haislip was also contracted to paint for several other hotels, including The Omni in Corpus Christi, TX, which is situated along the Texas coast and seaside marina. Her art is displayed in 338 guest rooms of this lovely 3-diamond hotel. 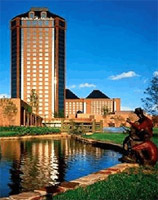 She is also featured at The Doubletree in Somerset, NJ. In 2009, Haislip decided to take her creativity into a different direction and began a new series of wine and martini art on canvas. Her art is now displayed at the charming vineyard, Unicorn Winery, which is nestled outside DC. Her contemporary wine art paintings focus on glass reflections and fluid movement. 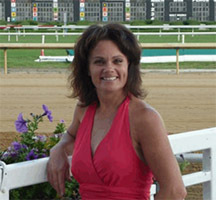 She exhibited at The Governor’s Cup Awards in Richmond and is the first artist to exhibit at Colonial Downs. In September 2009, The Dogwood Restaurant and Sports Bar in historic Palmyra, VA, invited Haislip to display all her works throughout the club. She will be creating new billiard, music and sports art available for purchase in their newly renovated space. Ms. Haislip has been featured in numerous articles, which includes The Charleston Gazette, The Charlottesville Arts & Entertainment, The Daily Progress, The Fluvanna Review, The Central Virginian and more. For more information on Melanie Haislip, please contact her at mellyh@artistattic.com.